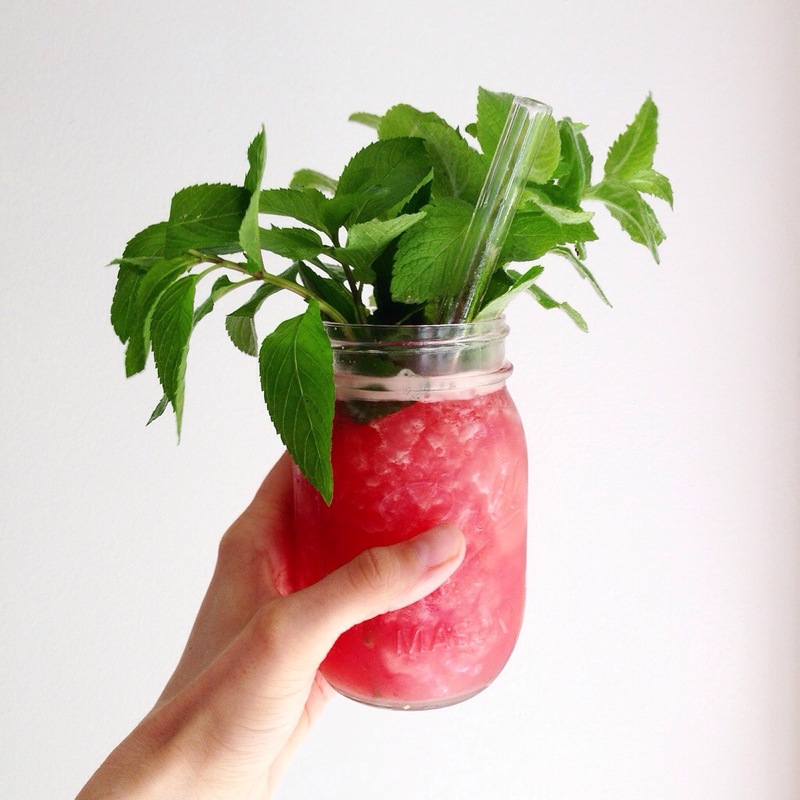 Watermelon Slushie • Mint | Eat More Plants. In the spirit of summer, I’m going to be posting a deliciously cool drink recipe each week. No hard to find ingredients; just simple, whole foods. I scooped out one half of a watermelon, chopped it up into ice cube sized pieces and froze it in a freezer bag. Next day, blend it up, adding a tiny bit of water if needed to get the blender going. I picked fresh apple mint & sweet mint from my ever spreading field of mint to top my slushie for aesthetic purposes, but after I took a picture I muddled some leaves with a squeeze of lime to release the flavor and mixed them in my drink. I like that you get the flavor of the mint by muddling without having to blend up the leaves. I use a wooden spoon to muddle so I don’t have to spend money on an actual “muddler”. • If you don’t know, muddling is mashing whatever ingredients you want at the bottom of your glass before pouring your drink in. In this case, mint leaves and lime. A lifetime ago when I was a bartender, I used to muddle mint and lime for mojitos. All those beautiful oils infuse your drink when you muddle, rather than just blending or chopping and mixing them in.